In a large bowl, add melted butter and cheeses; stir to combine. Add chicken and pan juices to butter/hot sauce mixture and toss to coat. 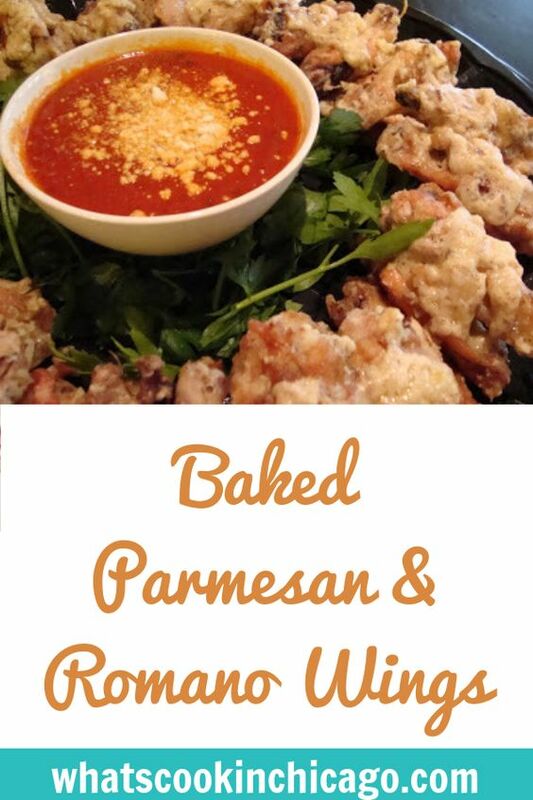 To accompany the wings, serve with marinara sauce.